Featuring classic Soul songs of Motown, the 70's, 80's and 90's through to the present day with R&B; including hits from The Four Tops, Supremes, Barry White, Aretha Franklin, Luther Vandross, Chaka Khan, Tina Turner and many more. Originally formed in 1997, Mission Blue have established a style and quality that sets them apart from many other groups. 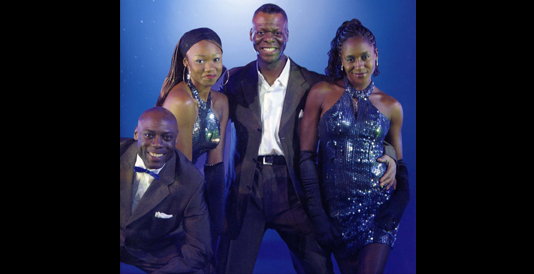 Rudolph Patterson, trained dancer/singer/actor and choreographer, is the founder and leader of Mission Blue. He is continually preparing new package shows for clients who want style, fun, entertainment and class; with a seal of professionalism.